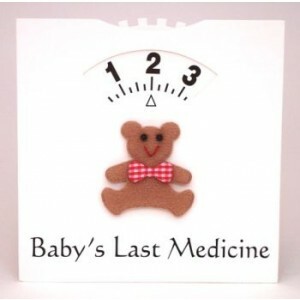 The Baby Medicine Wheel helps to keep track of Baby's medicine times, providing peace of mind for parents. Provided with an envelope the Baby Medicine Wheel's a considerate present to give to new parents, or include in a new baby gift basket or hamper. A thoughtful gift for a baby shower. 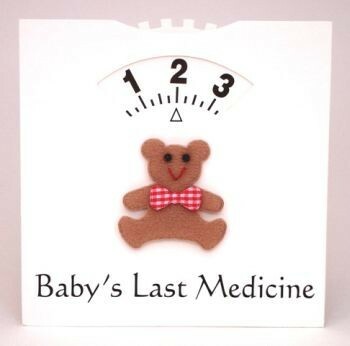 Buy a Baby Medicine Wheel to put in the cupboard next to the medicine. You never know when you'll need this handy gadget! I received it this morning - it's really cute and above all - practical!! Thanks for getting it to me so quickly.